FASTER: More V/Line trains ran on time this month but more also failed to make their destination at all. More trains ran on time on the Geelong line in July compared to the same month last year, according to the latest V/Line statistics. Punctuality was up, with 90.5 per cent of trains running on time, compared to 89.6 per cent in 2017. But more trains failed to reach their destination at all during July than the month in 2017, with V/Line cancelling more services. Reliability was down, with 96.7 per cent of services running in July, compared to 98.5 per cent last year. The 90.5 per cent punctuality figure was the third consecutive monthly improvement for the Geelong line and the second-highest result in the past 12 months. V/Line chief executive officer James Pinder said the Geelong corridor was among the best performing lines in regional Victoria. “Whilst it’s really pleasing to see consistent improvements in punctuality on the Geelong line, we acknowledge that more still needs to be done,” he said. The main reasons for delays to Geelong line services last month were trains stopping at stations longer than scheduled and train faults. 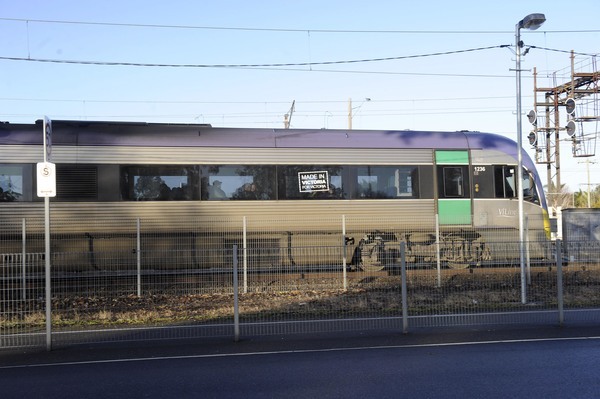 Three extra services to Waurn Ponds each weekday would commence with the start of the new V/Line timetable on 26 August, Mr Pinder said.